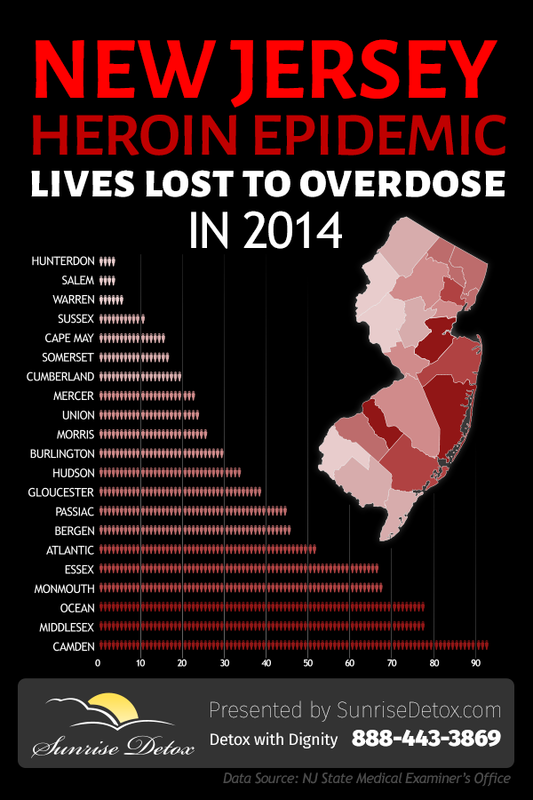 Camden County, NJ (served by Sunrise Detox Cherry Hill) suffered the greatest number of heroin-related deaths in 2014, followed by Middlesex, Ocean, and Monmouth counties (served by Sunrise Detox Toms River). Northern NJ was led by Essex, Bergen, and Passaic counties, served by Sunrise Detox in Stirling, NJ (Long Hill Township). Read more about heroin addiction & addiction treatment in NJ.